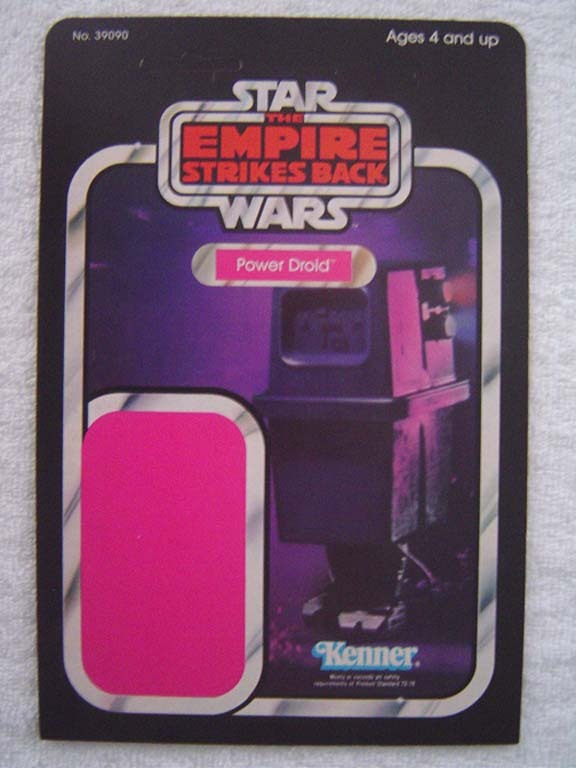 The Power Droid packaging prototype shown above is referred to as a proof card. Collectors enjoy persuing proof cards in variety of manners. Some seek to complete proof series featuring a single character on as many differnt cardbacks as possible. Others seek out proofs corresponding to a single movie logo or particular mail-away offer. Of course, some folks simply buy ones they like without persuing any type of goal whatsoever. That's the beauty of collecting in that there is no correct or incorrect way to go about it! Regardless of what one's ultimate goal or lack thereof is in purchasing them, proof cards are fun to collect and may be stored or displayed in a variety of ways without consuming too much space.